Reluctant monarch King Alistair travels to an empire of evil mages! 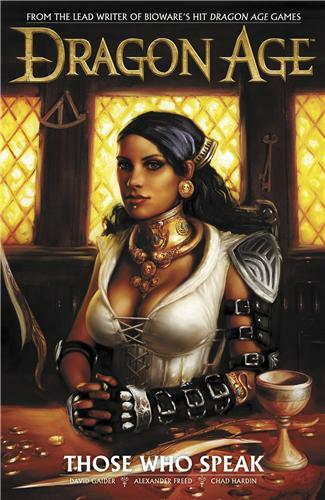 Accompanied by the pirate captain Isabela and the underworld merchant Varric, Alistair will stop at nothing to uncover the fate of his lost father-even if it means battling an army of cultists singlehanded! The fight turns even more personal as Alistair faces a former ally and Isabela must confront the tragedies of her past while imprisoned in the cultists' dungeon!